Bringing your toddler to London? These London attractions are sure to keep your little ones entertained throughout your trip. The Museum of London Docklands is great for children and a favorite area is Mudlarks. This informative and interactive play area is designed for the under 12s, with a soft play section for under 5s. Everything is themed around life in the London docks so the big kids can weigh cargo or load a tea clipper while the small kids get to crawl around with large foam bananas and a London bus, plus they can pretend to drive a DLR train. How to get there: The nearest station is Poplar on the DLR. What small child doesn't love animals? Children under 3 go free at London Zoo so take them when they're really young for a good value day trip. If your family is older you can still save money on London Zoo tickets. Tag Your Tot: You can 'tag your tot' with a wristband at the entrance. This is well worth doing as children can get a bit overzealous around the animals and it can be hard to always hold on to them. Live Events: You can see birds and monkeys out of their cages at the daily live events. Check the Day Planner when you arrive for the schedule. How to get there: The nearest station is Mornington Crescent on the Northern line. Coram's Fields is a unique 7-acre playground and park for children in central London. It is free to use and provides a safe and stimulating environment where children can play freely. Adults are only permitted with a child and there is always staff available to ensure all is well. Pet's Corner is popular with its goats and sheep, and the sandpit gets busy in the summer. Coram's Fields is close to the British Museum and other attractions such as the Foundling Museum, which is free for children. How to get there: The nearest station is Russell Square on the Piccadilly line. The Museum of Childhood is a great free museum in east London. There's a buggy park in the lobby and there is always staff at the entrance/exit so the children can't escape. Expect to find dressing up clothes and other toys available. The indoor sandpit and wobbly mirrors are always fun, as is the designated soft play area for the under 3s. The cafe is popular and has good quality tea. There are lots of highchairs and booster seats and the tables are large so you can sit with lots of friends. There are hot and cold meals as well as cakes and snacks. How to get there: The nearest station is Bethnal Green on the Central line. Children under 17 always go free at Kew Gardens which makes it a great family day out. The paths around the gardens are smooth for buggies and most of the buildings have ramped access. There's some useful information on the Kew Gardens website to help you plan your visit but all you really need to know about is Climbers and Creepers, Kew's interactive play area for the under 9s. Just remember to explore the gardens first as once the kids get in there they won't want to leave! How to get there: The nearest station is Kew Gardens on the District line. The Natural History Museum is one of the big three museums in South Kensington. It is a wonderful Victorian building housing the weird and wonderful of the natural world. The Natural History Museum is world famous for its dinosaur skeletons. There are moving and roaring dinosaur models for the kids to roar back at. The enormous blue whale is also a hit with kids. How to get there: The nearest station is South Kensington on the Circle, District and Piccadilly lines. Tate Modern is the national gallery of international modern and contemporary art from 1900 onwards. It's housed in a renovated power station which means there's a huge Turbine Hall on the lowest floor. This space has regular art installations but there's always space for the young ones to have a run around. The main shop, also on Level 1, sells excellent children's books, and the Cafe on Level 2 is fantastically child-friendly. As well as the kid's menu there's a buggy park, plenty of highchairs, plus crayons and coloring sheets. How to get there: The nearest station is Blackfriars on the Circle and District lines. The London Aquarium is free for under 3s. If you visit in the afternoon you can watch the sharks being fed which is always good to see. The shark's tank can be viewed from two levels so there's plenty of space. How to get there: The nearest station is Waterloo on the Bakerloo, Northern, Jubilee and Waterloo & City lines. 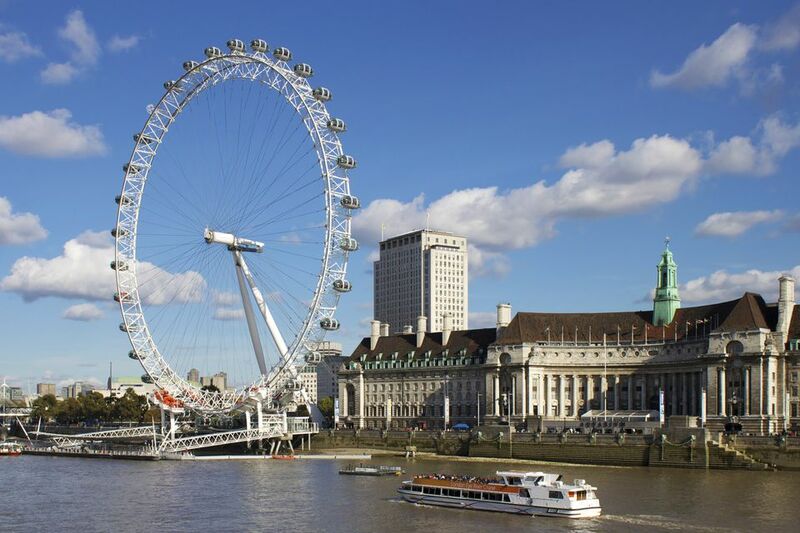 The London Eye is 135 meters high which makes it one of the world's tallest observation wheels. Small buggies are allowed on board but if you have a larger buggy ask at the Information Desk and they can store it for you. Each capsule is enclosed for the ride so it's safe for children to walk around. The capsule walls are glass down to the floor so children can sit on the floor and still get great views. The London Eye has lots of extra fun activities throughout the year, especially in the summer, and the staff are excellent with children.isHow to get there: The nearest station is Waterloo on the Bakerloo, Northern, Jubilee and Waterloo & City lines. Discover Children's Story Centre opened as the UK's first story museum dedicated to generating a love of language, literature, and stories for children aged 0-11 years. It's a wonderful play space for young children to learn about stories and interact with them allowing their imagination to run free in a safe environment. Discover is in Stratford so you could also incorporate a trip to the nearby Queen Elizabeth Olympic Park. How to get there: The nearest station is Stratford on the Central, Jubilee, DLR and London Overground lines.